Action-packed weekend ahead? 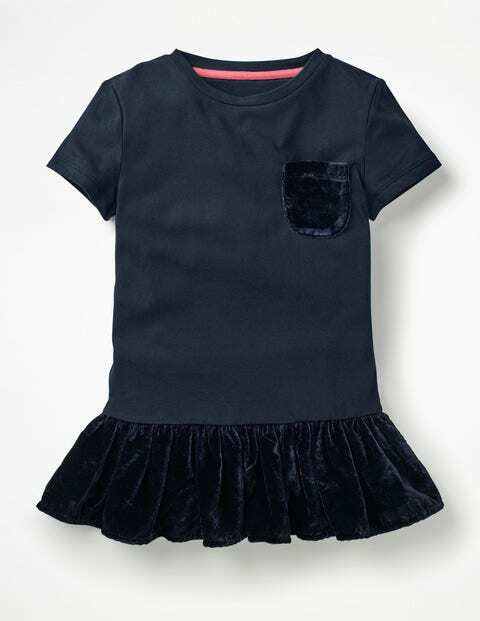 This T-shirt – complete with flouncy velvet peplum – is here to save the day. The loose, swing style means it can be dressed up for parties or down for a walk in the park. It's crafted from heavyweight soft jersey fabric, and even has a handy velvet pocket. See you Monday, school uniform.